Congratulations on your successful installation of Windows 10 in your laptop or desktop. You are now using the latest and best operating system released by Microsoft. Aside from being fast this is also one of the most secure operating systems available which in this age is an important feature. Now that you have this up and running you will need to perform these other steps that we have listed below to make sure that everything works properly. The first thing that you will need to do once your computer is ready for use is to check for additional software updates. To do this just click on “Settings” then “Update and Security”. From here click on “Check for Updates” Make sure your computer is connected to the Internet when you do this. If there are additional updates then it will be downloaded and installed. What this feature does is it rolls back to operating system to a point where it was working properly. This comes in handy whenever your computer might suffer from some issues after an update and you need to undo whatever was installed in your computer. To enable this feature open an Explorer window then right click on this PC. Click on “Properties” then click on “System Protection”. Select drive C: then click on Configure and select the “Turn on system protection” option. The Action Center is located on the lower right side of the screen and contains notifications which might need your action. Click on the list of notifications and take the necessary action required. In most cases you will just need to just tap on the “Clear All” option. Windows 10 comes installed with a default security software and this is Windows Defender. Make sure that is has the latest definitions installed and it is running. To access the Windows Defender software press Win+I to open the Settings app. Click Update & Security and then Windows Defender in the left side of the Window. 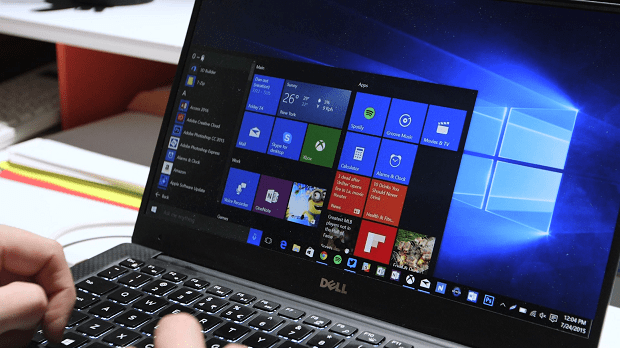 There are various ways to personalize Windows 10 to fit your preference. You can do this from System – Preferences. From here you can change the themes, colors, backgrounds, and more. Once you have performed the following steps listed above you can then proceed with exploring your new operating system. For further assistance on any computer related concern be it hardware or software please feel free to contact us using this form and we will provide you with the best possible answer.